A wood router is very useful in making your woodworking project more decorative and functional. It comes with many great specifications that are useful for both home and industrial purposes. Here we have listed the Benefits of using a Wood Router that will surely help you in your project. This is a handy tool that has a great ability to perform the various tasks with its wide functionality. You can use the wood router for cutting, shaping the wood and other materials, trimming, and much more. In fact, many professionals and experts consider this as the most versatile tool in woodworking. A wood router can do much more than just routing the piece of wood or metal or plastic. You can use it for making different patterns bu using its wide variety of features. 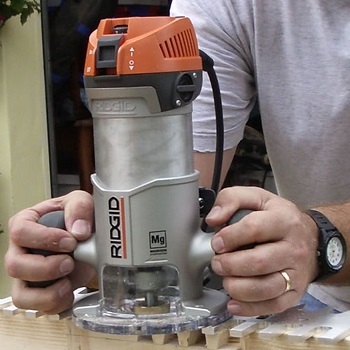 If you are a beginner and doesn’t know the use of a wood router, then this guide is for you. There are many wood routers of different brands are available in the market. These all are designed to work under different conditions for making various patterns and designs. You can use any wood router that perfectly fits your needs and requirement in your project. Firstly, you have to start with the basics of how to use the wood router before using it at an advanced level. This includes the routing or grooving of the wooden, metal, and plastic materials. Following are the benefits of using the wood router for your woodworking project. If you want to cut a smooth narrow piece of wood, then it can be little tricky for you. But with the help of the wood routers, you can do this in a very less time without any issue. They are designed to make the sharp and perfect edges on the pieces of wood and other material. The wood routers are known for creating stylish and decorative moldings. With this tool, you can craft any shape of molding for windows, doors, or baseboards. A dado is a supportive edge where you can fix another board or any type of cabinet. With the help of the wood router, you can easily cut this surface without any difficulty. You can use the router to carve the piece of the wood to form a strong link. This link can be further used in the doors and window or cabinets. You can also use the wood router for grooving, cutting patterns, and making designs on the wooden pieces. With this, you can easily repair the damaged part of any table or any other piece of wood. This is one of the key features of the wood router that is very effective in woodworking. It provides you with the accurate woodcutting everytime you are working on it. With this, you will get the equal amount of pieces without any waste of the wood. All these are the amazing benefits of owning a wood router at your workplace or home. The wood routers are flexible to work with and reduces human effort to a great extent. Also, they are easy to operate and even a newbie can effectively use it without any kind of difficulty. 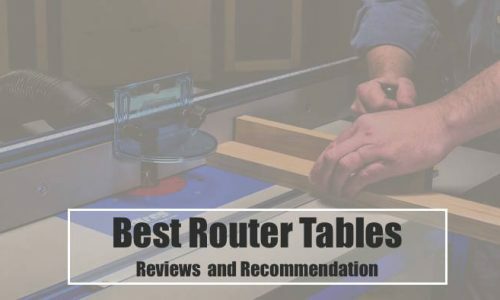 With this, we would like to conclude this article on Benefits of using a Wood Router. If you face any difficulty while using the wood router, then let us know at BeingWoodWorker's contact us page. Our team is always there to assist you in every possible way. Also, don’t forget to give your feedback and share your thoughts. Thank you.